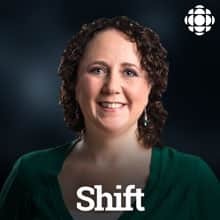 Shift is an energetic two and a half hours that connects people in the province with the events of the day and with each other. Emergency Measures Coordinator Jacques Doiron said crews are monitoring the river and ice jams, which he hopes will break before the rain expected for the long weekend. He expects Friday night into Saturday could be the worst day for potential flooding. Jason Moxon of Moxon's Country Pumpkin in Maugerville spent today delivering hay to the Fredericton exhibition grounds. He planned to move his animals there by Friday the latest. And on the other side of the river, George Scott of Scott's Nursery said he's very concerned but thankful to have more time to prepare for flooding this year. Two New Brunswick restaurants have made this year's list of the top 100 in the country. Moncton's Les Brumes du Coude came in at number 96. And at 79, it's the Rossmount Inn in St. Andrews. Chef Chris Aerni said the announcement came as a big surprise. He said it's not always easy for rural restaurants to get noticed. Riverwatch spokesperson Geoffrey Downey gives an update on areas expected to hit flood stage this weekend. He also reminds people to help each other, check on their neighbours, and to stay informed. Riverwatch spokesperson Geoffrey Downey said residents along the Saint John River should prepare for flooding. In the meantime, Lisa Legacey, president of the Victoria County SPCA, said her staff already evacuated 39 cats because of flooding. Festival organizers promised a big announcement and delivered. Robert Plant and the Sensational Space Shifters will play in Fredericton this September, along with Jason Isbell and the 400 Unit, Lucinda Williams, Nathaniel Rateliff and the Night Sweats. And those are just the very top headliners, said programming director Bren Staeben. Nurse Joanna Seeley with Anglophone West School District said schools are struggling to meet the menstrual hygiene needs of students. A new pilot project aims to find out if giving out free tampons and pads in school could help, while also cutting down on missed class-time. Today is "Talk with our kids about money" day. CBC Money Columnist Bruce Seller gives some specific ideas on what you can do to support financial literacy in your family. Today marks the 100th anniversary of women's suffrage in New Brunswick. That's when some women were finally granted the right to vote, after a decades-long fight. It's a step in the right direction. But Norma Dube of Women for 50 Per Cent said there's also still lots of work ahead. There are some 70 animals awaiting release at the Atlantic Wildlife Institute this week, including several squirrels. And while some may see them as a nuisance, director Pam Novak said squirrels play an important role in keeping the ecosystem healthy. The owners of the St. Stephen Aces said they needed to sell the franchise in order to meet financial obligations. St. Stephen's Mayor Allan MacEachern said the town tried to get the team to stay but couldn't negotiate with its owners. The team's move to Fredericton has upset people, he said. After the historic church in Bas-Caraquet burned down last year, the Bathurst diocese has revealed plans for a new church. Bishop Daniel Jodoin says the new church will include a community centre, which can also be used for weather-related emergencies. If you've ever wondered whether the provincial government is keeping its promises, a new online tool may offer some help. The New Brunswick Polimeter is being developed by staff at the Universite de Moncton. Political scientist Gabriel Arsenault said it will keep track of government promises and whether they've been kept, partially kept or not kept. The province is cutting back on funding to nursing programs at the University of New Brunswick and the Universite de Moncton. George MacLean, vice president of academics at UNB, talks about why this happened and what it means for the future of nursing education in the province. The Southwest New Brunswick Service Commission has released a pamphlet packed with tips for builders and renovators. It's meant to help them build for climate change, and the kind of extreme weather events that could come with that. After the weekend's warm temperatures and now heavy rains, Riverwatch spokesperson Geoffrey Downey says the province continues to monitor river levels. But it's also keeping an eye on some potential ice jams in the north of the province. Community Transportation Restigouche, a service for people with low incomes and those who do not have access to a vehicle, is expanding. Coordinator Chantal Bernard said the service will soon be accessible to residents of Kedgwick and Saint-Quentin. The Higgs government is getting rid of the free tuition program introduced by the Liberals, and replacing it with their own version. Financial aid will now be available to all students, including students at private colleges. There are differing opinions on the plan, so we've gathered people representing a number of perspectives to talk it through. Birder Alain Clavette explains the different species of blackbirds you may encounter this spring, and how to pick them out by their song. The St. Joseph Community Health Centre will no longer offer services on weekends, and doctors are only available Mondays and Tuesdays. Dalhousie Mayor Normand Pelletier says the clinic is vital to the community, and the town will have to market itself aggressively to attract new doctors. We're all getting anxious for better weather. Probably not as anxious as New Brunswick farmers, though. Allyson Chisolm of Windy Hill Organic farm in McKees Mills has been preparing for spring for a while. Kingsbrae Gardens in St. Andrews just purchased a 10-unit apartment building to help with a shortage of units, and keep more seasonal and young workers in the community. Brad Henderson, manager of marketing and sales, says it helped them recruit people that would have otherwise not been able to work with them. Did you know that golfers will be munching on New Brunswick oysters at the Masters Tournament in Augusta? Amedee Savoie, co-owner of Maison BeauSoleil in Neguac, said their osyters have been on the menu for a few years now. A cellist, a pianist, a percussionist and an accordion player joined forces and formed The Ladom Ensemble. They play a mix of world and classical together for about 10 years. This month, they are playing at different locations across the province, and also met with students, including a group of newcomer youth in Fredericton. The annual quest for the coveted green jacket, the Masters, begins at the Augusta National Golf Course on April 11. But a young New Brunswick golfer already had his turn on the course. Nine-year old Carter Lavigne qualified through three different levels to compete in the Drive, Chip and Putt championships last Sunday. The provincial science fair is underway. Michael Edwards at Science East has been judging projects for years. He says you can see everything from self-driving go-karts to safe skateboarding clothes. The market at the Peter McKee Community Food Centre in Moncton offers a variety of fresh and homemade goods at a very low cost. It's been a passion project for Alicia Clarkson, the centre's community garden coordinator. And now, she's managed to make it waste free. Fredericton ophthalmologist Kenneth Roberts says some cataract surgery patients cancelled appointments after hearing about two cases of Creutzfeldt-Jakob disease at the Moncton hopsital. But he says the disease is extremely rare, and patients should not be concerned of contracting it during surgery. Jacques Comeau is competing on the Quebec singing show La Voix! and just made it to the next level. He originally went to the auditions for the TV show to support his daughter, but ended up making the show himself. He says his success brought his entire family closer. Download Dieppe man continues to shine on La Voix! Canadian lobster fishermen are challenging the remarks of a Maine senator, who claims they are undermining conservation efforts by their Maine counterparts. Brian Guptill, president of the Grand Manan Fishermen's Association, says it's not true that Canadian fishermen catch and sell egg-bearing female lobsters. The provincial government is changing the tuition bursary program to give more students access to financial aid. But critics of the change, including Emily Blue with the New Brunswick Student Alliance, say it just stretches the same $19.2 million budget thinner, while including private institutions which she says are not always held to the same standards as public universities. Students at St. Thomas University made a $300,000 donation to the university for mental health services and programming. It's a response by the student body to the growing number of people dealing with mental health issues, and a lack of available services say university student Taylor Cook and director of student services, Brock Richardson. Notebooks can provide some insight into important figures in our history, or may reveal just how similar we are to one another. Government records archivist Sarah Glassford has been looking into the 1911 university doodles and encoded writing of Miramichi historian Louise Manny. Seaside Home veterinarian Katie Bell says the view on declawing has changed in recent years. She compared declawing to removing the last joint on a person's finger, and said many veterinarians now see it as unethical practice that can cause lasting health concerns for cats. Alain Clavette says it's a good time to listen for sparrow song, before the rest of the singers return for spring! He has tips. Beauceron Security's David Shipley, STU's Jamie Gillies and Chief Electoral Officer Kim Poffenroth look at what's fair game for political parties in terms of reaching the electorate, and what you can do about it. Rachel Schofield Martin describes the program she founded that's teaching students from kindergarten to grade 8 about preparing food from scratch. In Amy Spurway's first novel 'Crow,' main character Stacey Fortune returns home to Cape Breton after she's diagnosed with several inoperable brain tumours. Everyone in town is convinced her family is cursed. But while the novel may sound dark, it's full of wit and humour. Science columnist Torah Kachur has new research that shows flame retardant chemicals in our furniture, electronic devices etc are spread to our hands and around our homes. We're asking you to name our Shift fox and tell us a story about him. The fox was made by needle felt artist Katrina Isbell-Floyd, aka Bella McBride. And we've enlisted the help of someone who knows about stories to choose the winner of the contest. Candace Hare is a director at the Nashwaaksis branch of the Fredericton Public Library and specializes in youth services. Two cars of a Via Rail train derailed near Coal Branch, about 46 kilometres northwest of Moncton. Noone was hurt. But the two cars went through the driveway of Troy Kaye, and stopped not far from his neighbour's home. Shawn Corey and Jordan Grant have made music together for two decades. The St. Andrews duo Tuckersfield just released a new single. Off The Grid was inspired by one of their favourite New Brunswick breweries, Off Grid Ales, in Harvey Lake. Every year, the Atlantic Wildlife Institute takes in lots of orphaned animals, discovered by people cleaning out their sheds and cottages. Director Pam Novak has some ideas to help reduce that number. Download Atlantic Wildlife Institute: Baby animals in the shed - now what? Music New Brunswick is making changes to its awards categories. Executive director Jean Surette said a refresh was warranted as the industry is changing and many artists fit more than one description. Jessica Ryan passed away on March 30. A former city councillor and founding president of the Bathurst Regional Museum, Ryan was known for her passion and hard work, and an overall commanding presence. Nancy Culligan-Brunner is the current president of the Bathurst museum, and worked closely with Ryan. A daily prayer has been a part of New Brunswick's legislative assembly for 200 years. But not everyone thinks it still has its place in politics. Green Party MLA Kevin Arseneau has been absenting himself during its reading, and plans to introduce a motion next month to ban it. For several summers, the village has been under a boil water advisory. Council could apply for provincial or federal funding for a new water system, but it doesn't have the funds for the exploratory work. In response, some locals decided to create a variety show to start raising the money needed. Jane Chrysostom is the organizer for H2 Whoa! The Kingsbrae Garden Cafe in St. Andrews was badly damaged this weekend, after someone vandalized the building and started a fire in a washroom. Staff discovered it just in time. But marketing and sales manager Brad Henderson says it's a big hit to the popular summer destination. UNB Reds assistant coach Brittany Esposito says the news came as a shock following what was considered a successful last season. Esposito played four seasons for the league with the Calgary Inferno. She says a few of the players she works with now were also interested in joining the league. Just a few months back, the Atlantic Salmon Federation was celebrating the latest catch numbers from Greenland. Thanks to a new agreement with fishermen there, the numbers were the lowest since 2005. Turns out, those numbers have since been adjusted and have more than doubled, says spokesperson Neville Crabbe. The house at 808 Brunswick Street is the oldest standing building in the city, likely completed in 1786 by Johnathan Odell. Odell was a clergyman, surgeon and poet, but also a slave owner. And it's that history that once threatened the historic property, says architect and author John Leroux. The provincial government cut $8-million from it's tourism budget. At the same time, there's a plan to shift to a more local model by allowing municipalities to impose a tourism levy. We hear from some people working in and with the industry. Patients of two private clinics run by nurse practitioners in Edmundston suddenly had their appointments cancelled, after the Vitalite Health Network decided the nurses can no longer prescribe drugs or exams. Tracy Ouellet said she ran her clinic without issues for two years prior to this decision. Birder Alain Clavette has been checking out the new bird arrivals with his ornithology students. Gig Keirstead and the crew at Elmhurst Outdoors are open for maple sugar bush tours these days. Elmhurst Outdoors on the Kingston Peninsula includes a 45 minute interpretive walk through time as part of their tour. Gig tells host Vanessa Vander Valk alll about it. Saint John firm Acre Architects has just had one of their properties featured in Architectural Record. The American monthly magazine is dedicated to architecture and interior design. Monica Adair is co-owner and chats with Shift Host Vanessa Vander Valk about the accomplishment. Magnetic fields: can humans detect them? A compass uses the earth's magnetic field to determine direction. Many animals are able to sense magnetic fields as well, that's part of the reason birds stay on track during migration. But what about humans? Michael Edwards of Science East has been looking at some new research. Download Magnetic fields: can humans detect them? Fredericton band Wicked Vices released a debut EP last month.The band will play the Living Roots Festival in Fredericton in May. Ryan Barrie is the drummer and he chats with Shift host Vanessa Vander Valk. New Brunswick's premier and his education minister have adopted different messages about the province's relationship with China. Provincial affairs reporter Jacques Poitras has details on that story. Luc Caron says a new school program aims to introduce students to jobs they may otherwise not consider, and help out local manufacturers seeking employees. He is the executive director with the Francophone North West School District. Lisa Ann Ross of Fredericton's Solo Chicken Productions and Erica Frecker with L'Arche Fredericton say the two groups have teamed up for The Spirit Project. It's a year-long series of free creative workshops in visual art, improv, movement, music and film for adults with and without intellectual disabilities. Miramichi has seen a big influx in newcomers in recent years. And many of them stay. The community's retention rate is so good, city representatives - including Craig Silliker with the Miramichi Regional Multicultural Association - gave a workshop at a national immigration conference last week. Over 1,700 citizenship ceremonies are held in communities across Canada each year. But the vast majority of Canadian citizens have never experienced one. This week, residents of Fredericton participate in a Citizenship Reaffirmation Ceremony, led by citizenship judge Rina Arseneault. Some of the archives' collections also speak to the personal interests of those working there. Take Elena Cobb, for example. She works at the archives, and is a member of the Fredericton Society of Artists. The society is hosting its 70th anniversary this year, and Cobb has been collecting several posters from past shows. The Tom Donovan arena is in the running alongside rinks in Alberta, Quebec and Saskatchewan. The local rink is not only an important part of community life. But resident Jennifer Hallihan says residents also applied to the contest in memory of a young student, Thomas Dunn, who passed away last year. We're saying goodbye to winter, with our birder, Alain Clavett and a snowy owl researcher from the University of Moncton. Last week we talked about what might be in the Higgs' government's first budget. Now we know and we're bringing last week's panel back to discuss it. Host Vanessa Vander Valk is joined by Duncan Matheson, Michael Camp and Radio-Canada reporter Michelle LeBlanc. Our Food South East New Brunswick is hosting a day long event with workshops, talks, and a panel discussion focused on the right to adequate food. It's called the Creating a Place for Food Gathering. Jill Van Horne is the network coordinator with our food south east New Brunswick. Alain Clavette talks sparrows with Rick Wright! Our birder is excited about another bird book - Rick Wright's latest about sparrows! They talk about how sparrows are not just little brown birds. Download Alain Clavette talks sparrows with Rick Wright! Rod Cumberland of East Coast Lumberjack learned to make axe handles years ago, but in recently he's struggled to keep up with the demand! Some people are raising concerns that no hospital in the region is able to perform a lung transplant, so patients have to move to Toronto to wait for a match. But that can get so expensive, many patients rely on the kindness of strangers to survive, says Barbara Walls with the New Brunswick Lung Association. Young athletes from Fredericton and Saint John spent part of their March Break in Orlando, Florida at an international cheerleading competition. It proved a tremendous success for the Capital Cheerleading Club. Both of the Fredericton teams won their respective divisions in senior and junior, says Senior 1 Encore team coach Terri MacQuarrie. Media coverage on sexual assault and the MeToo movement have increased calls to sexual assault centres across the country. Staff at the Fredericton Sexual Assault Centre welcome the growing awareness on issues related to assault, says program coordinator Jenn Gorham. But the centre also suffers from an increasing shortage of volunteers, she says. It's an anxious time for many people living along the St. John River, as flashbacks to last spring's historic flood are starting to set in. Jasmin Boisvert, a water resources specialist with the Department of Environment and Local Government, says since last year's major flood the province is also using its five-day forecast. A UNB startup has made it to the finals with the New Brunswick Innovation Foundation's Breakthru competition. Better Than Reality develops software that helps companies virtually train their employees. But CEO Dan Cane says they also want to model each training program after the companies' real work spaces. Photo archivist Josh Green is examining some very 'long' items at the provincial archives, including a Woodstock bridge rendering that doesn't make much sense once you take a closer look at it. Peter DeMarsh of Taymouth was on board of the Ethiopian Airlines plane that crashed on the way to Nairobi, Kenya on Sunday. DeMarsh was the chairperson of the International Family Forestry Alliance. But for many years, he also represented private woodlot owners in the province and worked closely with Rick Doucette, the president of the New Brunswick Federation of Woodlot Owners. In 2004, Susan Levi-Peters became the first female chief of Elsipogtog First Nation, a role traditionally filled by men in the community. On International Women's Day, she tells her story as part of a series on New Brunswick women who shattered stereotypes to pursue their dreams. Bird Talk: A gull is a gull is a gull... or not? If you think a gull is a gull, birder Alain Clavette begs to differ. He reports back on a gull event he participated in last weekend. And he also shares a story about a wandering turkey and a Great Horned Owl. Download Bird Talk: A gull is a gull is a gull... or not? Last year, Grade 11 student Dhanishta Ambwani and research scientist Helen Tai worked together on a potato fungus project at the Agriculture Canada's Research and Development Centre in Fredericton. Now they're using technology that helps with cancer diagnosis to figure out what potato plants need. A few years ago, Fredericton musician Mike Bravener didn't know a lot of traditional folk music from the province. But all that's changed now, so much so that he has a show featuring stories and songs of New Brunswick from the 1800's coming up at the provincial archives. If playing an instrument in front of a crowd makes you break out in sweat, Mark Kleyn may be able to help. He's teaching a new course at the University of New Brunswick to help musicians deal with performance anxiety. Boy Toyin, or Boy T, is the stage name for a young man who moved from Benin, Africa to Edmundston five years ago. He's been recording music at home for years, and making his own professional videos. Now Boy Toyin is ready to hit the stage and perform. A young bobcat suffered a serious of unfortunate events, including an encounter with a skunk and possible run-in with a car, and is recovering at the Atlantic Wildlife Institute, says director Pam Novak. The city of Bathurst and surrounding Chaleur Region have three separate police forces. And according to some people, that's two too many. The idea of creating one regional police force has been considered several times in the past. But this time, Bathurst Mayor Paolo Fongemie says the climate appears ripe for change. Any Maritime angler will tell you that the Saint John River region is just great for smallmouth bass fishing. It seems word has finally travelled. Donald Paterson, the Maritime Representative for B1 Fishing, says the national championship is coming to New Brunswick, as well as the new B1 East Coast Series. The New Brunswick Health Council's latest survey finds that the quality of home care services varies in different part of the province. Council CEO Stephane Robichaud says the surveys provide important information on the state of the provincial health care system, and ideally push for innovation and necessary change. Federal minister Jane Philpott resigned as President of the Treasury Board, saying she lost confidence in the way the Liberal government has dealt with the SNC-Lavalin issue. It's a stand Stephen Lewis applauds. The former UN Special Envoy for HIV and AIDS in Africa and Canadian Ambassador to the UN is speaking at Mount Allison University in Sackville about social justice and affecting change. David Peters is a devoted and long-serving member of the New Brunswick Black History Society. His interest is rooted in a personal connection to a well known black historical figure, born 200 years before him. He shared the story of Big Tom's People with CBC's Jennifer Sweet. Moncton chef Gene Cormier just returned from the Canadian Bocuse d'Or selection. It's the Olympics of haute cuisine, with 24 chefs from around the world participating in an intense two-day cooking marathon in France. Prior to, every country selects their very best to send, and Cormier made it into the final four. He was also the only chef from Atlantic Canada to ever make it this far. Short-eared owl populations have been on the decline for decades. They're associated with wetlands, and make their nests on the ground. But their numbers are so low, birder Alain Clavette says some conservationists say it's time to offer them a little help. The Canada Games wrap up in Alberta on Sunday. Chef du Mission Nicole Smith says the athletes will leave the games with pride in representing their province, and experience competing against some of the best in the country. If you've never had Nigerian food, Uchenna Udeh would be happy to introduce you to some dishes. Since 2016, she has operated a stall with traditional Nigerian food at markets in the region. Now she's making her food available for online orders through her catering business. it's called Don't Hate Cause You Ain't Ate. There was an incredible moment on La Voix (the Quebec version of The Voice) last week, courtesy of a father and daughter from New Brunswick. Jacques Comeau of Dieppe went to the show's auditions to support his 17-year old daughter, Josiane. He didn't intend to audition himself but the producers made it happen. Science: Why does a zebra have stripes? Many have asked the question, and some answers have been floated. New research now appears to have the elusive answer. And Michael Edwards, the director of strategic initiatives for Science East, said striped coat wearing horses play a role in it. Download Science: Why does a zebra have stripes? People across New Brunswick have followed Caroline Savoie's career since her debut in 2011. The singer and songwriter has released a new album. Y'En Aura was inspired by her own struggle with anxiety and depression, which she rarely discussed until the release. A fire completely destroyed yet another fish-packing plant owned by Cape Bald Packers. The fire at the Cap-Pele plant has left hundreds of people worrying about the future of their jobs. But there are plans to rebuild. And if possible even this year, said Joanne Losier, a spokesperson for the company. February is Black History Month and there's a celebration planned in Fredericton by New Brunswick's African Association. The group is looking to share African traditions and culture with people in the province, but also discuss some difficult issues that members of the black community may face. Saa Andrew is the president of the association, and Jesus Nshim of Author's Collection is one of the speakers at the event. Miramichi is hosting the Coldest Night of the Year fundraiser for the first time. Organizer Becky Levi is a coordinator with the Independent Living Program at the Miramichi Youth House. She says there are many people in need in the community, and many who don't know the need exists. Birder Alain Clavette says winter has brought some new visitors around to his feeder. This is the time of year the birding community gets excited for, including the annual spring bird count at Point Lepreau. Two athletes from Quispamsis won the first medals for New Brunswick at the Canada Winter Games in Alberta. The first gold went to boxer Isaiah Haya. And Cameron MacMaster scored a silver in gymnastics. And Chef du Mission for Team NB, Nicolle Smith, says the next group of athletes is arriving this weekend. The International Indigenous Fashion Week is coming to Paris in early March. It's a pretty coveted event - only eight designers are presenting. And this year, one of New Brunswick's own will be there. Ingrid Brooks is an artist from Indian Island, and the only one to represent both Mi'kmaq art and Atlantic Canada. Edmundston city council has voted in support of the Citizens' Universal Declaration of Climate Emergency. Mayor Cyrille Simard says despite being a smaller community, they hope to inspire others to follow suit. Glenwood musher Remy Leduc just completed his first round of the Yukon Quest. It's a 1,000-mile race across the ice from Whitehorse to Fairbanks, Alaska. Leduc completed the race but not without some trouble along the way. Fredericton's Flourish Festival announced the lineup for the fifth edition of its music and arts event. This April, the festival welcomes 40 bands, 20 visual artists and a whole lot of fun pop-up events, says co-organizer Stefan Westner. Joselyn Sceeles knew an $800 tip is likely too good to be true. She works at the Coffee Mill in Fredericton, and received the large tip this weekend. It has since been returned. The World Pond Hockey Championship is well underway in Plaster Rock.Teams have come in from across the country, and the world. Organizer Danny Braun says many of the visitors come to experience a Canadian hockey experience. Carbon tax concerns will be in the news a great deal as we near the next federal election. This week's panelists discuss their take on the controversial topic. Rachel Blaquiere, Cathy Davies and Dr. Heather Dow found a way out of Haiti on Friday. The Woodstock women all travelled there to provide free medical aid in small villages and towns. But since demonstrations broke out in the country last week, they were not able to leave the house they were staying in. With an eye on the weather, the Red Cross advises people to get ready for an early flood season. Last years major spring flood left more than 2,500 people stranded. Bill Lawlor, the Red Cross' provincial director, says some residents have still not been able to return to their homes. Birder Alain Clavette shows how Valentine's Day is all about birds, and shares news about the annual great backyard bird count, which starts Friday. John Hamilton retired in December as principal of Bliss Carmen Middle School in Fredericton. A month later, he visited hurricane ravaged Puerto Rico to help rebuild a damaged school. It's winter carnival season in the province. In Hillsborough, the Golden Oldies Snowmobile Club will be there with some vintage machines to show. Club president Paul Wilson says what qualifies as an antique is a bit of a grey area, though. For Ed Knuckles of Knuckles Truffles, chocolate is an everyday indulgence. He started making truffles years ago for friends. But it wasn't until he retired from his performing career and moved to Sackville, that he thought about getting into chocolate as a business. Now he has a shop, a chocolate apprentice and a couple of bakers. The world's oldest periodic table was recently found in St. Andrews University in Scotland. It dates back to about 1885. It's a timely discovery, with the periodic table celebrating its 150th anniversary this year. Michael Edwards of Science East has been looking into the table's history. In a report published in the Canadian Journal of Cardiology, doctors warn patients to use caution with edibles, after a 70-year old Saint John man showed signs of a heart attack from eating a lollipop containing THC. Cardiologist Dr. Robert Stevenson is the co-author of the report, and also one of the doctors who saw the patient that night. A nurse and doctor from Woodstock, along with a nurse from Halifax, are stuck in Haiti during the sixth day of violent protests there. Cathy Davies, Rachel Blaquiere and Dr. Heather Dow travelled to Haiti to provide free medical aid in small villages and towns. John and Lisa McLaggan of Tomato Tomato are getting set to release their brand new album. It's called Canary in a Coal Mine. Well if you have a dog that likes to pull, listen up. Moncton Dog Runners and Friends of Fundy are joining forces to put on an event that involves harness dog sports - like skijoring, bikejoring, and kick sledding. Sarah Peel is president of Moncton Dog Runners and she tells host Vanessa Vander Valk all about it. Teams gathered for a big pond hockey tournament at the wharf in Caraquet last week. But not all the hockey players were moving swiftly, some were frozen in time. Four large players were carved in the snow by Jean-Pascal Brideau. Friday Panel: How do we keep immigrants in the province? Why do we need immigrants to come to New Brunswick? And what does it take to get people to stay? This weeks panel was joined by Ryan Boyer, president of the Fredericton Chamber of Commerce, Cyrille Simard, the mayor of Edmundston, Khairunnisa Intiar, co-founder of Woven Cultures, and Moncef Lakouas, the president of the New Brunswick Multicultural Council. Download Friday Panel: How do we keep immigrants in the province? A mental health youth facility in Restigouche may be on hold after the provincial ombud recommended cancelling the project, in part because of concerns about attracting qualified staff. But it's not the first time those concerns have been raised, said John Sharp, director of development with Partners for Youth. Mike Sorenson of Naskwaak Valley Farms took some of his animals to the veteran's unit in Fredericton, aiming to provide a little cheer. In fact, providing joy and education is becoming a bigger part of his business model. He's hoping to build a summer camp on the farm, and expand the work he's doing in schools. A fire has destroyed the lobster processing plant in Richibucto Village. Cape Bald Packers is a major employer in the area and plans to rebuild. But there are almost 200 people who remain without work for now, says Roger Doiron, the mayor of nearby Richibucto. There's a whole world of birds beyond our shores. And on occasion, one shows up on land and that's usually not good news. A thick-billed murre is recovering with Pam Novak at the Atlantic Wildlife Institute near Sackville. It's been 15 years since Debbie Adshade's last album. But Saint John's 'godmother of folk,' as Jeff Liberty called her last week, has a brand new digital release, Toss the Bones. And all of the songs on the album are inspired by works of poetry. New Brunswick nursing homes are changing how they prescribe anti-psychotic medications to dementia patients, after a study found 580 residents did not have a diagnosis to support being on the drugs. One of the patients who was taken off the medicine was Daphne Stafford's mother-in-law. The 2018 Hunger Count shows 40 per cent of people using food banks in New Brunswick are children. Single parent families and people 45 years of age and older make up much of the rest of the clientele. Provincial food director Greg Doucet says one option to deal with the rising need could be basic income. It's the Year of the Pig... and what does that mean? It's the official start to Chinese New Year and the Year of the Pig. While some New Brunswickers have big celebrations planned, others may be a bit mystified. UNB professor and 20th-century Chinese history scholar Larry Shyu explains how the Chinese celebrate. Download It's the Year of the Pig... and what does that mean? Tales from the Provincial Archives: Who was John Moxon? Photo archivist intern Meredith Batt has been working with a sketchbook dating back to 1858. The first few sketches are done in England, and then the artist clearly goes to New Brunswick. There are sketches of Fredericton, as well as homes and ships. But just who was the artist, John Moxon? Download Tales from the Provincial Archives: Who was John Moxon? La Fabrique in Tracadie has taught essential life skills to people with intellectual disabilities for 35 years. But an aging building and not enough funding may be the end of the non-profit organization, says director Martina Godin. Could falcons provide oyster farmers with some help dealing with cormorants? Birder Alain Clavette went to find out, and spoke to a falconer. This week, Premier Blaine Higgs made the announcement that he's cancelling the 2021 Francophonie Games, citing the rising costs of the event. Some people agree with the decision, saying the games were far too expensive. Others argue not enough was done to save them. Author Allan Downey of the Nak'azdli First Nation visits Sackville this week, presenting his new book on lacrosse and identity, and how the sport was long appropriated by early Canadians and later reclaimed by Indigenous communities. An agreement reached in November means volunteers with the Cocagne Community Garden can use the kitchen at L'Ecole Blanche-Bourgeois. They're preserving food grown in the garden for use in the cafeteria. But organizer Yvan Picard said they're also want to help provide nutritious meals to students who might go to school without. New Brunswick's Queen of the Blues, Theresa Malenfant, and guitar player Scott Medford charmed the crowds at the International Blues Challenge in Memphis, Tennessee over the weekend. So much so, they took second place in the solo/duo category, competing against some 260-plus acts. Award winning Canadian author Marcello Di Cintio explores Palestine through the lens of literary culture, and tries to provide a more nuanced picture of the war-torn country in his new book, Pay No Heed to the Rockets: Palestine in the Present Tense. It looks like Mac the Moose will continue to hold the title as the world's largest moose. The sculpture sits outside the city of Moose Jaw, Saskatchewan. And some folks in Norway were trying to steal his fame by creating a bigger statue. But thanks to a donation from Moosehead Breweries, that's not going to happen, says Moose Jaw Mayor Fraser Tolmie. If you think 108-year olds are rare, you're right. Arnold Hawkins of Beaver Harbour joined the club today. His daughter Violet McKinley was there for the party. Joel Palmer created a large ice sculpture of howling wolves in Fredericton's Officer's Square, as part of the city's Frostival. Palmer is well known for his chainsaw creations, but says creating art from ice presents a different yet rewarding challenge. Home care services are not meeting the needs of many New Brunswickers. Stephane Robichaud with the New Brunswick Health Council talks about who needs support, and what can the province do to help. The Foire Brayonne was given a new lease on life - at least for this year. A public meeting on the future of the event decided the festival should remain, but must reinvent itself, said Michel Nadeau, the city's director of recreation and sports services. Deer Island's historic Chocolate Cove is being torn down. Local resident and historian Dale Barteau explains what made it so special, and perhaps one of the most photographed spots in the province. The East Coast Music Award nominations were announced today, and many New Brunswick musicians and industry types may have reason to celebrate later this year. Jean Surette, the executive director of Music New Brunswick, said there were few surprises among the nominees, but several interesting choices. Ottawa announced changes to the way its funding First Nations education in a bid to make sure on-reserve students get similar support to what's offered in provincial school systems. But Amanda LeBlanc says that's not helping the many students attending off-reserve schools. She is the interim chief and president of the New Brunswick Aboriginal Peoples Council. Salmon advocates rejoiced this week, after catch numbers in Greenland showed up as the lowest on record for years. Bill Taylor, president of the Atlantic Salmon Federation, describes how an agreement with Indigenous fishermen led to the low numbers, and is helping to replenish the fish population. Alain Clavette took his ornithology class on a field trip, and saw birds displaying the first signs of courtship behaviour. The story of five children living in neglect in Saint John prompted a year-long review of the province's child welfare system, and 100 recommendations to improve the system. Plus, a compromise brokered to deal with the issue of bilingual paramedics seems, for now, to please all sides. A pair of entrepreneurs in St. George have launched a website called Ocean Door Online. Murray Tucker and Justin Harris deliver fresh seafood to your house, anywhere in the country. Science: Does science know everything? A child visiting Science East recently asked director Michael Edwards: Does science know everything? It got him thinking about sorting fact from fiction, and some pretty basic stuff we still don't really understand. Download Science: Does science know everything? Les Preliminaires premieres in Fredericton this week. It's a play about sexuality and body image. But playwright Xavier-Lord Giroux says he also hopes to start a bit of a revolution in the Francophone theatre scene. The government says a new legislation, Bill C-83, will do away with solitary confinement in Canadian prisons. But critics argue it's more of a re-branding. Canadian Senator Kim Pate says issues of prisoner segregation and separation of prisoners remain in Canadian prisons. Bathurst-born and Fredericton-based musician Jenn Russell is launching her second album of jazz tunes, Triple-Step. She also has a big launch show coming up. It's a fundraiser for Liberty Lane, a charitable organization that offers Second Stage Housing to women and children who experienced family violence. Moncton historian Maurice Basque says more civic discussion on bilingualism is needed to make people understand its history in the province, and why it's important. He spoke at a public debate on anti-bilingualism and francophone communities, hosted by the Universite de Moncton. Fredericton is hosting the fourth Songs of the City concert this week. Once again, musicians partnered with the United Way and met with a client to learn about that person's story, and then interpret it in song. Jerry Faye is one of the local musicians performing at the event. The Cossar Farm site in the Village of Gagetown is a local historic place that was once owned by Dr. George Carter Cossar. He bought the land and turned it into a training farm for young men from Scotland.